Cute little easter bunnies –with very uniquely individual personalities– are jumping off this mug from every angle! 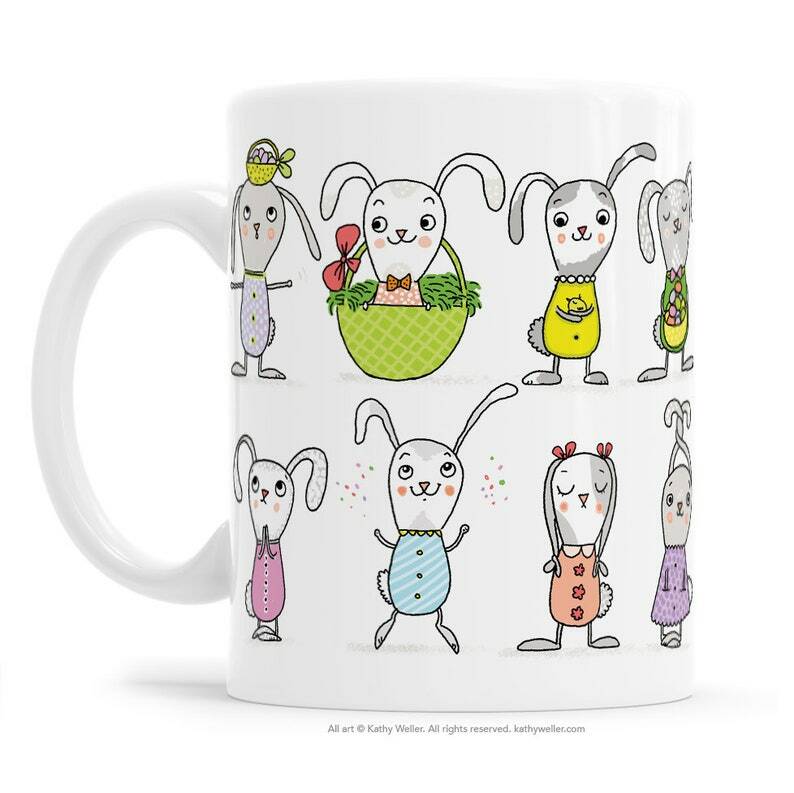 This mug features a horizontal bunny illustration that WRAPS AROUND the entire length and width of the mug. This is a high-quality, white ceramic mug, dishwasher and microwave safe.